1. 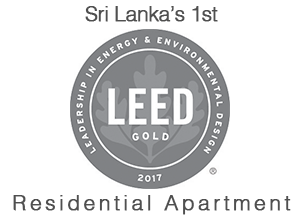 First and last residential apartment complex to be built within 30 metres from the Mahaweli river. All future developments would be allowed only beyond 100 meters from the river under new laws. 2. First residential apartment building that is being built under US Green Building LEED Rating system. 3. Designed to ensure fresh air and natural lighting permeate throughout the building. 4. Breath-taking views from each apartment. 5. Convenient location and easy access to expressway, public transport, railway and sea plane. 2 types of one bedroom apartments. 5 types of two bedroom apartments. 8 types of three bedroom apartments. 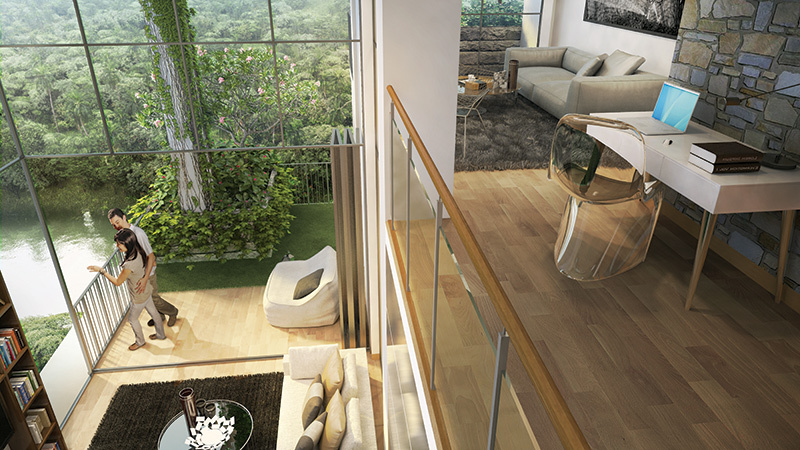 5 unique Sky Villas designed with double height ceilings as a duplex to further enjoy the views. 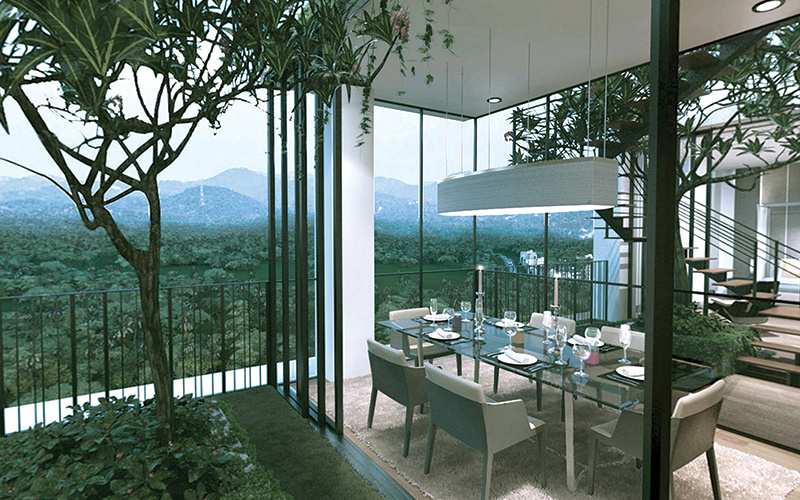 4 Penthouses - each unit uniquely designed with their very own sky garden, golf-putting area and entertainment facilities. 7. High quality construction team and materials. Architects: RDC Architects Pvt. Ltd. Singapore in association with KWA architects and PWA interior designers.